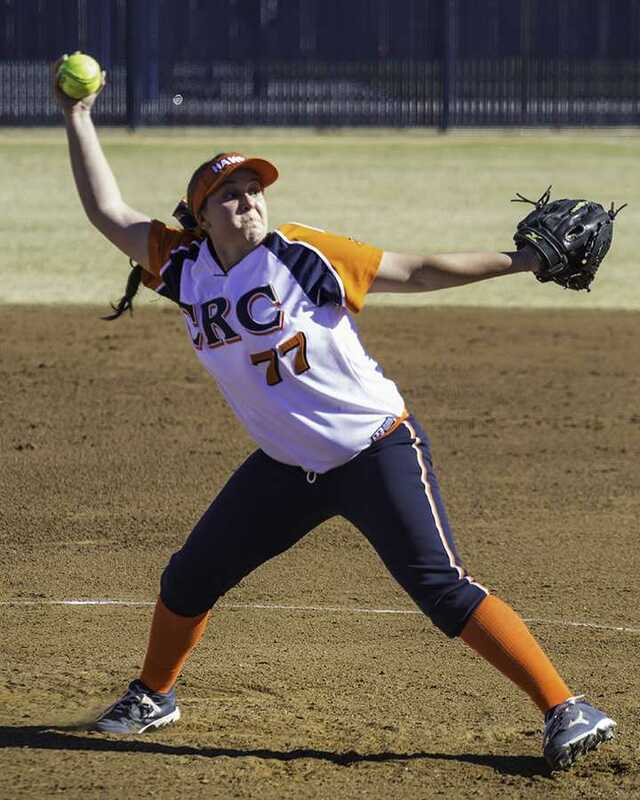 Freshman pitcher Amanda Horbasch threw a shutout game with 13 strikeouts in Cosumnes River College's home opener against Lassen Community College. The game was called in the bottom of the sixth inning when the Hawks scored their eighth unanswered run of the game. 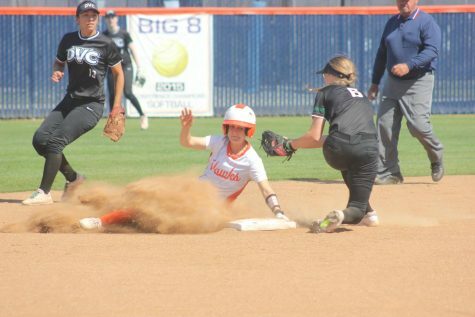 The Cosumnes River College softball team pulled off two wins in their season-opening double header against Lassen Community College on Saturday. The Hawks dominated in scoring against Lassen, leaving coach Kristy Schroeder proud of her girls in their season opener. 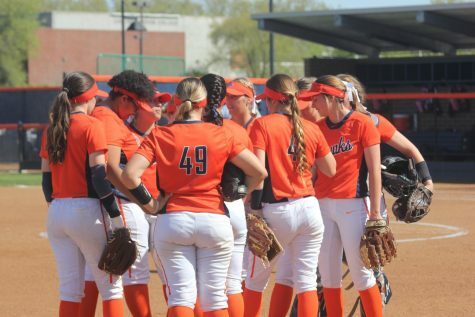 Freshman pitcher Amanda Horbasch came out in the first inning with two consecutive strikeouts, and held Lassen hitless. 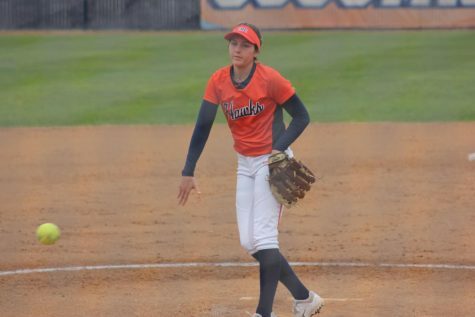 On offense, Hawks’ freshman utility player Nicole Mandolora walked, while a sacrifice bunt from freshman infielder Bree Spradling sent Mandolora to second base. Freshman catcher Carly Hintz, a pinch hitter for outfielder Jessika Wilkins, struck a line drive over first base bringing in Mandolora. Sophomore infielder Amy Pedretti followed up with a smash into left field, plating two runs and increasing CRC’s lead to 3-0. Horbasch came out top of the third allowing only two of the Lassen’s ladies on base. With runners on first and second, Lassen sent a pop fly into midfield, settling into the hands of freshman third baseman Kacy Lutz, resulting in a double play bringing the inning to a close. 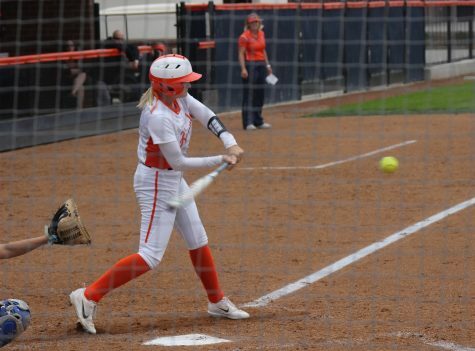 Lassen again at bat, remained scoreless in the fourth inning, While the Hawks retained their three-run lead going into the fifth. 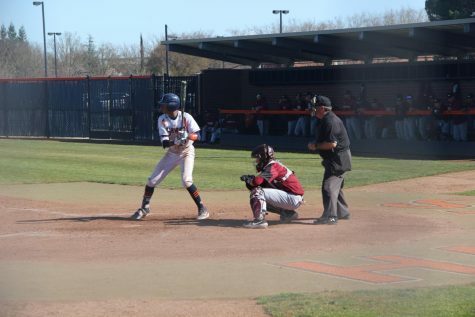 The Hawks played tight defense, while Horbasch allowed only one runner on base and struck out the side in the top of the fifth, putting the Cougars in desperate situation to put runs on the board. 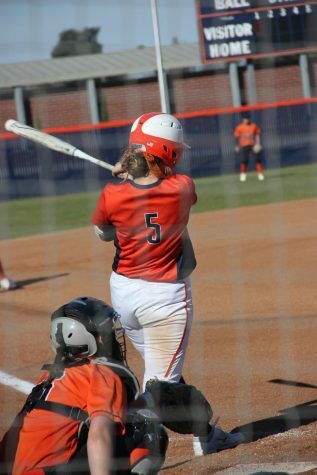 However, the Hawks increased their lead when freshman Christin Stein’s strong double past third base started a rally, which Amy Pedretti followed up by getting on base and stealing second. The Hawks would settle with a total of four runs, putting the score at 7- 0. 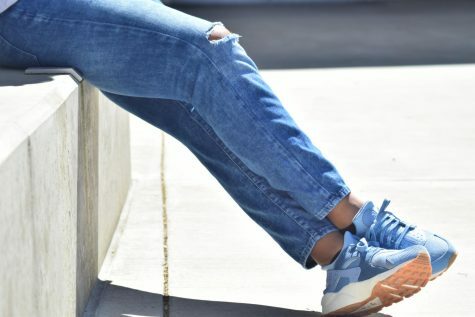 The game was called as the score reached 8-0 in the bottom of the sixth. Schroeder thought the team had nice at bats, aggressive base runners and the batters hit the ball hard. The Hawks were set to play game two, with a couple of changes in the making. The second half of the double header would be a bit different than game one. The Cougars stepped up in offense, but were still unable to pull out a win, as they fell short to the Hawks, 6-2. 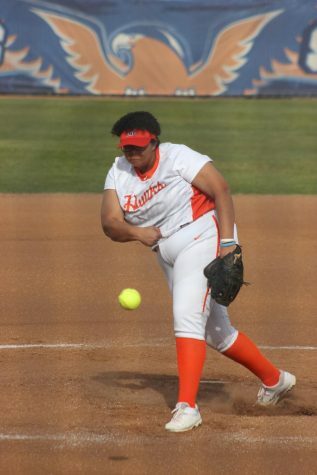 “It was a good first game, the second was a little slow, but we picked it up with the chatter,” said freshman pitcher Shasta Stinson. 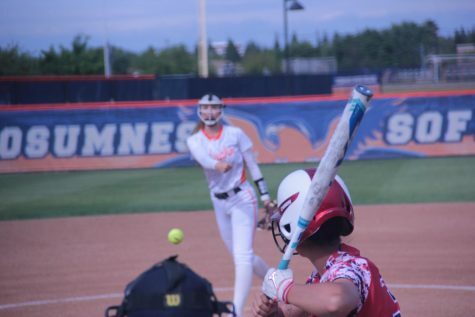 Stinson, a freshman from Ponderosa High, has a feel for the game as she’s been pitching for ten years. The Hawks, relying on experience, comradery and chatter, allowed the team to take not one but two W’s Saturday.